Very nice and I am sure my sisters will love them as I am giving them at Christmas. I am very happy with the Personalized Sister Rosewood Pen Set. It looks even better than the photo. I thought it was a perfect gift for my sister hope you likes it. 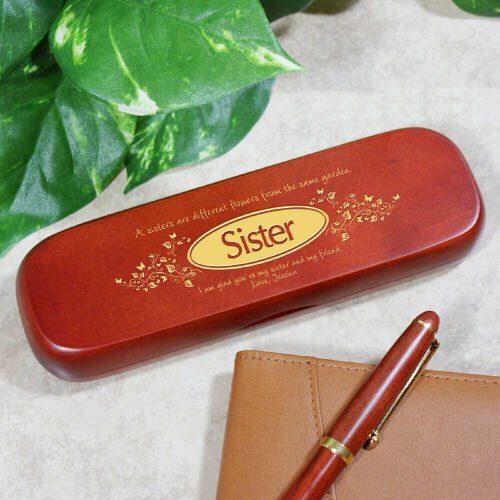 Additional Details GiftsForYouNow.com has a large selection of Personalized Sister Gifts, she is sure to love. Whether you need a Personalized Gift for your Sister's birthday, anniversary or Christmas, you are sure to find that perfect gift at GiftsForYouNow.com.